A caring community of faith, answering Christ's call to serve others. 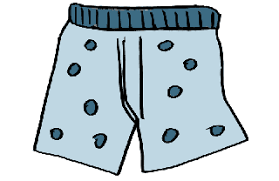 The deacons are sponsoring the second annual UNDIE SUNDAY FUN-raiser, by asking you to provide unopened packages of underwear for those in need in Waukesha County through THE HOPE CENTER. The drive will begin on May 5 and continue through May 26. MEN’S DAY – Boxer’s or briefs? All sizes are needed! BRING TO CHURCH ON MAY 5! WOMEN’S DAY – All sizes needed – briefs only, no bikini’s or smaller. BRING TO CHURCH ON MAY 12! SUNDAY SCHOOLERS AND YOUTH – shop with your parents or grandparents and pick out your favorites to give to other kids…Spongebob; Super Heroes; Disney Princesses; pretty colors or plain white and BRING TO CHURCH ON MAY 19 and May 26! You may bring unopened packages of all underwear on any of the Sunday’s and place in the special bin in the Deacon’s Corner in the Fellowship Hall beginning May 1.
newsletter right in your inbox. CLICK HERE to sign up with your email address.